It's no secret that I love murder mysteries, especially period ones, so I thought I'd try to start a new regular post to feature some of my favourites. I'm not very fussy when it comes to murder mysteries, though, so quality may vary! And I'll probably stick to TV shows for the time being. 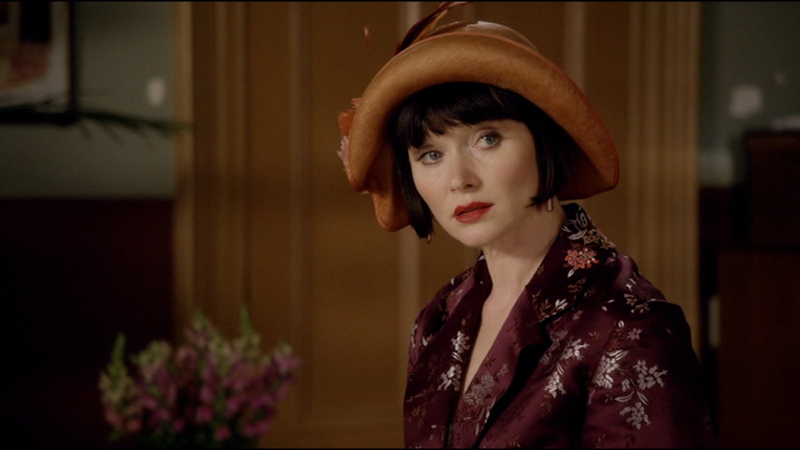 Anyway, for my inaugural Murder Mystery Monday, I thought I would post about Miss Fisher's Murder Mysteries. 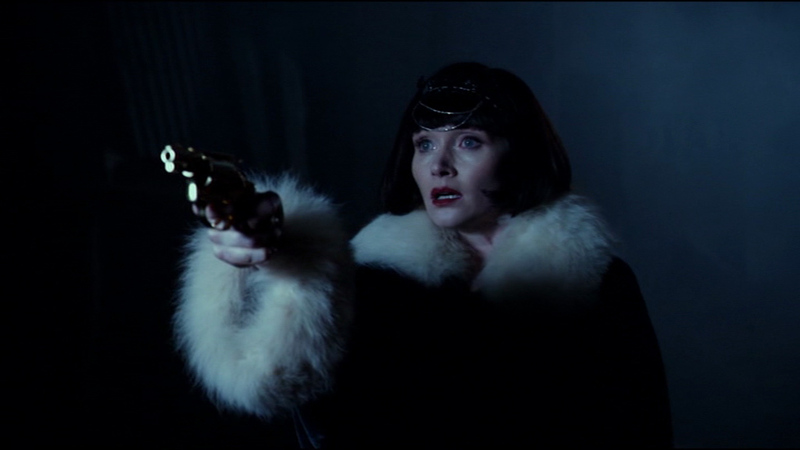 The show is based on the Phryne Fisher detective novels by Kerry Greenwood. I still haven't read any of the books but if you take a look at my Goodreads 'to read' shelf I think you'll know why! 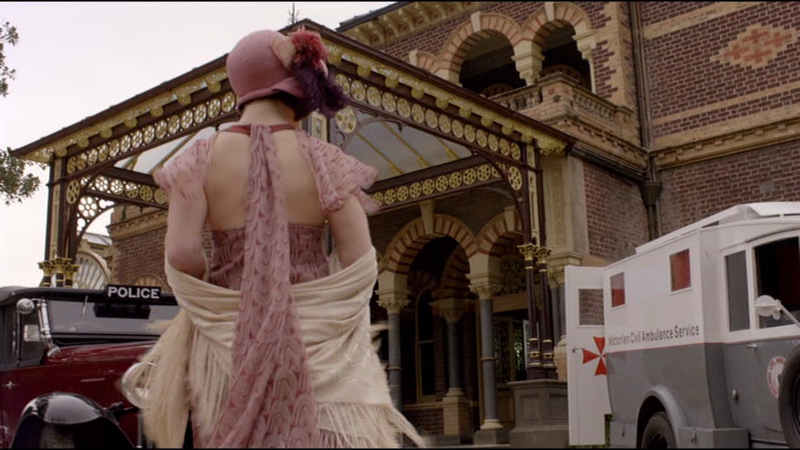 Starring Essie Davis as Phryne, the show is set in Melbourne in the 1920s. Davis is magnificent as Miss Fisher and she is rarely, if ever, let down by her supporting cast, both regulars and guest stars. Aside from the acting and production, the costumes are all very lovely. The '20s aren't my forte so I couldn't say how accurate the costuming is but I think it works very well and all the costumes are perfectly suited to each character. I've got a few screenshots to show off some of the clothes - all of these are from the first episode, Cocaine Blues, which aired on the 24th of February last year. It would take me too long to get shots from every episode, unfortunately. 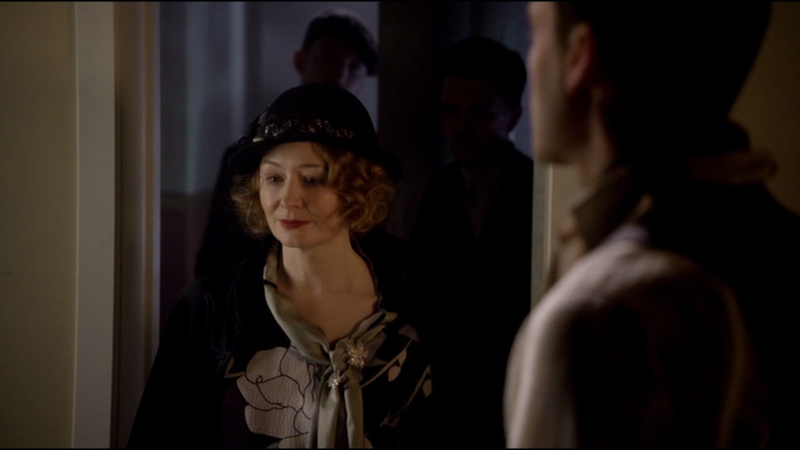 Essie Davis looking beautiful in one of her many lovely hats. The sets are exquisite, too. 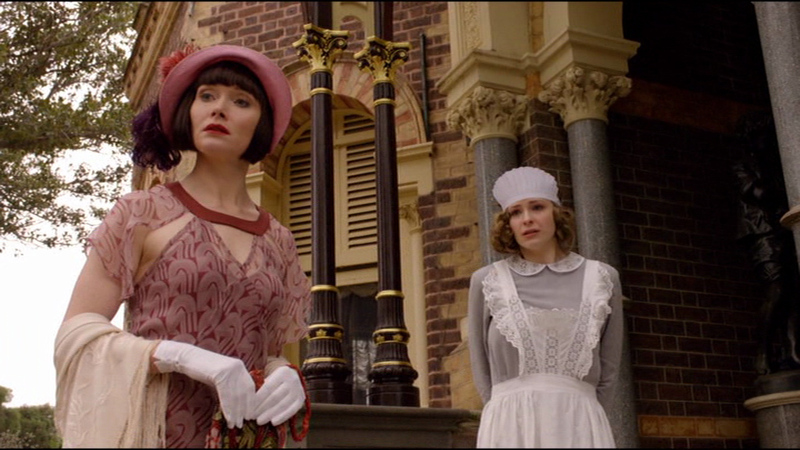 Miss Fisher is always shocking someone (this time it's her aunt on the right). 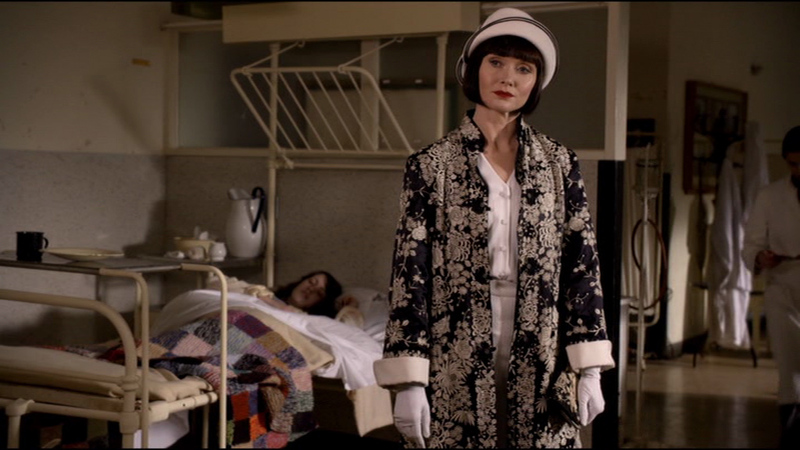 One of my favourite aspects of the show is the relationship between Miss Fisher and Detective Jack Robinson, pictured left. Her maid/companion, Dot, is so funny and lovely. And a great contrast to Phyrne's 'wild' ways. And the show looks great, too. 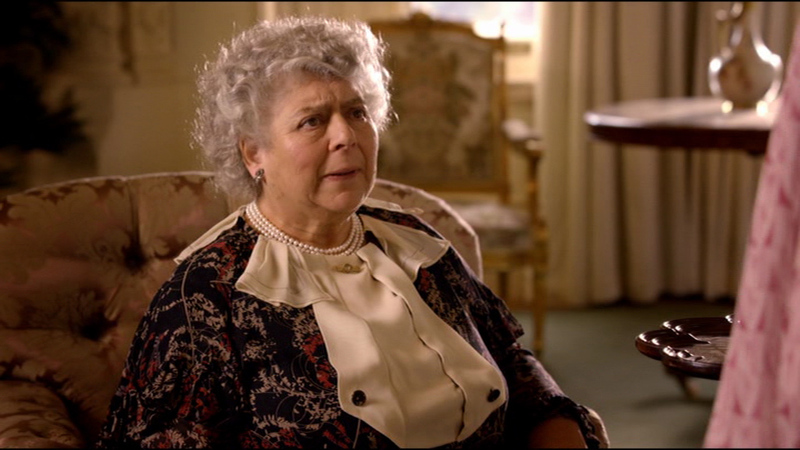 And Miriam Margolyes as her aunt! I think some people described it as 'hammy' and I suppose there are elements of that but, considering the kinds of movies and TV shows that tend to be my favourites, I may have a different scale by which to judge hamminess. Ha. Plus...it's a cosy murder mystery! Sure, it's not 100% historically accurate (what is? Some people were nitpicking on the ABC forum and, whilst it can be fun to do that sometimes, I understand why things can't be 100% accurate all the time - funding, time constraints, etc.) but it's entertaining and it's just a lot of fun. It also has great stories each episode and a fairly interesting arc that ties the series together overall as well as being a good showcase of Australian talent, I think. And I was happy to have an Australian murder mystery that I wholeheartedly love! I know quite a few of my Australian friends loved this show from reactions on twitter, so who else loves this show as much as I do? Wikipedia tells me it is airing in Canada and may be airing in the UK this year. Edit on the 23rd of February - I forgot one of the most important parts of a murder mystery show! Them theme! I really loved watching this show. I hope there will be a second season. My mom and I are both big fans of murder mystery shows (she even more than I, I'd venture to say) and she's been telling me about this one for a while now. Between her urging and your terrific review, I really think I need to catch an episode! *PS* I'd venture to guess it might not be shown in Australia (Canadian shows don't always get exported, I'm afraid), but should you happen to have a show called Murdoch Mysteries on TV there, I highly recommend it (it's a Canadian murder mystery program set in late-Victorian Toronto that's been on for a few seasons now). The styling in this looks absolutely impeccable. It almost makes me wish I lived in the days of flapper dresses and feather boas. I love this show and can't wait for season 2. I am also a fan of the books and while I will catch myself thinking "hammy line" I will remember Essie Davis delivering it just perfectly and it just seems "right". She is just amazing. Plus it's shot right here using some of the best vintage Melbourne locations. Looks fabulous! I wish it was shown over here in the UK! I'm watching the re-runs on the ABC and enjoying them almost as much as seeing them for the first time. 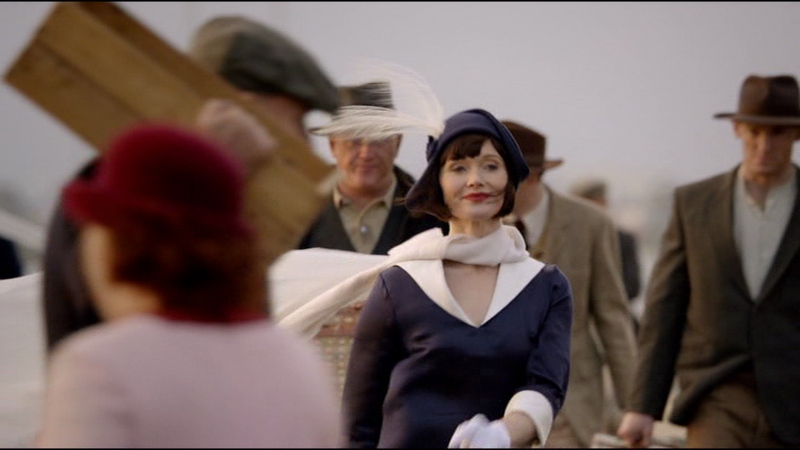 I adore Miss Fisher and I can't wait for the second season. I've never read any of the books either but I found one the other day while op shopping so I will be reading my first very soon! Yesss, and new show to watch! I believe I have read one book, the name sounds familiar, but it was years ago. awesome show... one of my favs. 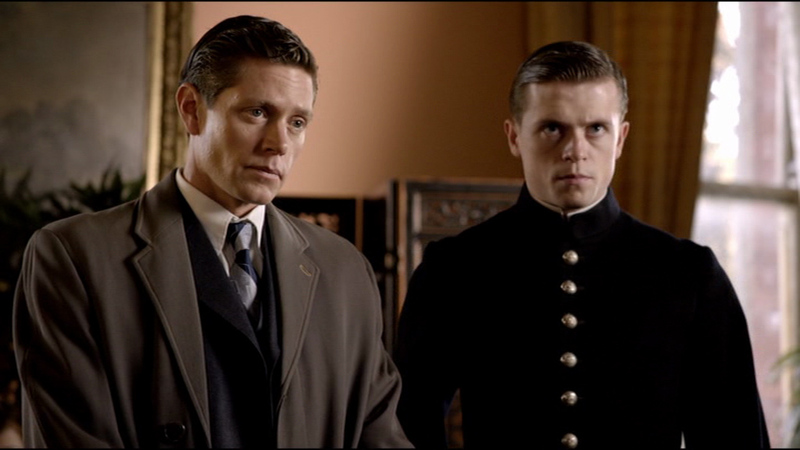 I also love the Mrs Bradley mysteries :-) Or Foyles War.